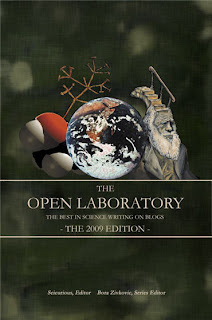 Open Laboratory 2009 - a juried anthology of the best of the science blogosphere from last year has appeared. Edited by scicurious, it's available here. I have a piece in it - a cleaner version of this post on the use of helium to preserve documents. I'm fascinated with the interplay between web and print that ultimately produces this volume. Want a copy? Order one -- or if you're feeling lucky, de-lurk and leave a comment before March 5th and I'll draw a winner at random. The rest of the pieces look great - on everything from the flu to charismatic megafauna (whales and chimps) to the statistics of human milk production. 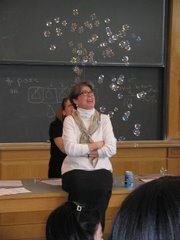 chemistry rules. count me in. I wish to delurk. quite curious interplay, that book!